NICHOLAS THEODORE, MD, FAANS, FACS Department of Neurosurgery Johns Hopkins University School of Medicine 600 N. Wolfe Street, Meyer 7-113 Baltimore, MD 21287 443-287-4934 Nicholas Theodore, MD is the Donlin M. Long Professor and Professor of Neurosurgery, Orthopaedic Surgery and Biomedical Engineering at Johns Hopkins University School of Medicine. He is the Director of the Neurological Spine Program and Co-Director of the Carnegie Center for Surgical Innovation. He graduated from Cornell University, where he was the recipient of a Cornell Tradition Academic Fellowship. He attended medical school at Georgetown University, where he graduated with honors and was inducted into AOA. After completing his internship at Bethesda Naval Hospital, Dr. Theodore served as a Senior General Medical Officer with the United States Marine Corps in Okinawa, Japan. He completed his neurosurgical residency and a fellowship in spinal surgery under the direction of Drs. Robert Spetzler and Volker Sonntag respectively at the Barrow Neurological Institute (BNI). After completing his residency, he served as Chief of the Division of Neurosurgery at Naval Medical Center San Diego, overseeing the largest neurosurgery complement in the Navy. 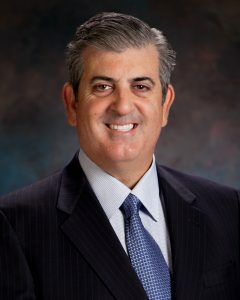 In 2003 he joined the faculty at Barrow Neurological Institute as Director of the Neurotrauma Program and Associate Director of the Neurosurgery Residency Program. In 2009 he became Chief of the Spine Section and Director of the Spine Fellowship at the BNI. He left Phoenix in July 2016 to assume his current position. His areas of interest include brain and spinal cord injury, minimally invasive surgery, robotics and personalized medicine. He is a Diplomat of the American Board of Neurological Surgery and a fellow of the American College of Surgeons. He is also a member of the American Academy of Neurological Surgery and the Society of Neurological Surgeons. He is the author of over 200 scientific publications and the recipient of many research awards, including the Tasker, Mayfield and NASS Awards. He has been the recipient of two RO-1 grants awarded by the National Institutes of Health as well as a major award from the Department of Defense for a multi-center study examining the effects of cerebrospinal fluid drainage in acute spinal cord injury. In 2010 with Neil Crawford, PhD he founded Excelsius Surgical an image-guided robotics company which was sold to Globus Medical in 2013. The technology associated with that venture was commercially released in October 2017 and is currently being used in operating rooms across the country. He is active in injury prevention and advocacy and was elected as National President of the Board of Directors of ThinkFirst from 2013-15. In 2018 he was appointed Chairman of the National Football League’s Head, Neck and Spine Committee.